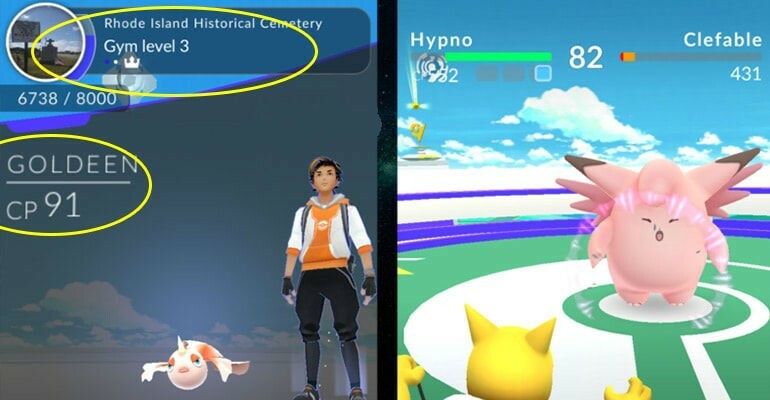 One of the important features of Pokémon GO are the gyms. Tipsandtricksfor selected the best battle tips and tricks in this guide. Learn about the gyms and check out how to battle against other teams! When you’ve reached level five, you can choose a team your side of the battle. Gyms are special places that can be captured by one of three teams: red, blue or yellow. Often Gyms are well know public places, like: town halls or libraries. In Pokémon you’ll recognize these gyms as towers. 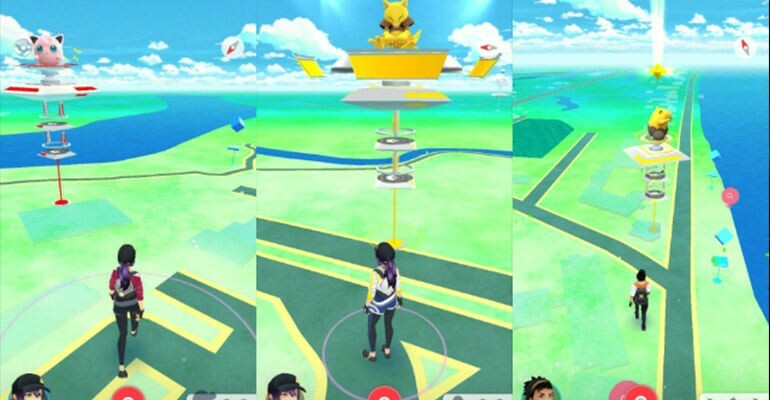 ‘Free’ Gyms are gray, and can be claimed simply by being the first one. Don’t be inpatient and challenge gyms with much stronger Pokémon inside. Your enemy will easily beat you. First try to practice in friendly gyms. Go to a friendly gym nearby and start some friendly battles. You’ll get to know the tips and tricks of battling. – Your friendly team will get prestige points. The gym raises in level (also against real opponents). – You’ll learn how to battle. – Receive XP for all friendly battles you’ve fought. When you’re thinking about starting a battle in Pokémon GO, that’s ok. But first do some research. Every gym has a level. The higher the level the more Pokémon are inside. Click on the gym and you’ll be able to see which Pokémon you’re going to battle. The higher the gym level the more Pokémon you’ve to beat. The higher the CP level the better the Pokémon is trained. 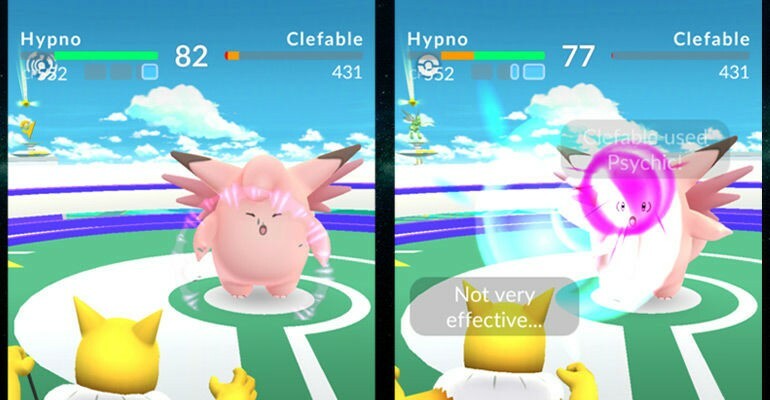 Check the Combat Power of the Pokémon inside of the gym and take the decision. Is it smart to battle against the Pokémon? If you’re not sure go and train your Pokémon some more. Come back later to battle! Pokémon GO automatically selects the 6 strongest Pokémon when you’re starting a battle. If you’re not satisfied about the order or the Pokémon who are selected. Easily tap a Pokémon and swipe the Pokémon around. So after all the research you’ve done, you are now ready to battle. Here are the controls you need to know! 1. Normal Attack: Tap the Pokémon which you are in battle in. The Pokémon will do his ‘normal’ attack. With every normal attack the bar for the special attack will fill-up. 2. Defend/avoid: By swiping the Pokémon to the left or to the right you’re able to defend/avoid attacks from your enemy. 3. Special move: With the special move you’re able to bring a lot of damage to the enemy Pokémon. Simply (when the bar is charge) press longer on your Pokémon and the special attack will find place. After you’ve won your battle the gym is yours. You now have to take the decision which one of your Pokémon is the best one to defend your gym. The best Pokémon mostly is the best one to defend the gym. Extra tip: Start playing a lot of friendly battles in your new gym. The gym level will raise quickly. When you lose a gym battle, The Pokemon gets returned automatically with 1 hp health.